What would we do without electricity today? Can we say that anyone invented electricity? These and other important questions about the electric power will be revealed in this article. Read on to learn about the actual facts when it comes to this most important discovery of all time, and the discoverers behind it. Electricity, is a force of nature and it has been around since the creation of the universe. However, ‘Who was the first to harness electricity?’ It took a lot of time for us humans to realize how electricity could be harnessed to get things done, but once we did realize, it took us only about 150 years to apply it to every aspect of life and change the world! Electricity, an effect of the electromagnetic force, is the flow of charged particles (electrons) through conductive materials. Electricity like water, flows from a higher electrical potential to a lower electrical potential. Almost every form of technology is made possible due to electricity and it is an integral part of biological life on Earth. From the beating of our hearts, to the working of our brains and muscles, everything is made possible due to electric currents! We will take the question of who discovered electricity as who was first in known history to realize the power of electricity and identify its various manifestation in nature. 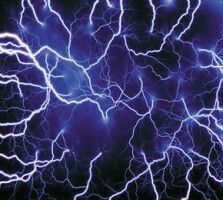 It is such a universal phenomenon, that anybody who has seen lightning could be called the discoverer of electricity. However, it took time to observe all the electrical phenomena and classify it. Who Discovered Electricity and How? Since ancient times, people have come across various instances of electricity being manifested in nature. Here are some of the instances in recorded history where electric phenomena find a mention in chronological order. The earliest mention of electric phenomena is found in ancient Egyptian texts from about 2750 BC (roughly 4750 years ago). These texts talk about electric fish that were known as ‘Thunderers’ of the Nile’ and defenders of other fish. So the earliest discovery of electricity in recorded history was in the form of bio-electricity! The mention of these electric fish like catfish and torpedo rays has been found in Greek, Roman and Arabic chronicles. In fact, in some instances, there is even a mention of electric shocks from these fish being used as a cure for headaches and gout. Many ancient civilizations have reported the attractive effect that amber has on light objects like feathers when rubbed against cat fur. The magnetic effect of minerals like magnetite was known to the ancient Greeks. Around 600 BC, a Greek philosopher, Thales of Miletus, investigated the static electric effect of amber and wrongly classified it as a magnetic effect arising out of friction. However, later in modern times, electricity and magnetism were proved to be the two manifestations of a single force of electromagnetism. The first indirect evidence of reported similarity between lightning and the electric current delivered by electric fish, is found in the name given by Arabs in 15th century to these fish. The name is same as the word for lightning. After that, in 1600 AD, an Englishman named William Gilbert studied both the phenomena of electricity and magnetism and distinguished between the electric effect of amber and magnetic effect of lodestone. It is he who gave the name ‘electricus’ (Latin) to the phenomenon of attraction showed by amber. Not surprisingly, it was derived from the ancient Greek word for amber, which was ‘elektron’. This gave rise to the modern word of electricity which first appeared in print, in the book Pseudodoxia Epidemica written by Sir Thomas Brown in 1646. Many natural philosophers and mathematicians like Robert Boyle, Otto von Guericke, Stephen Gray and C.F. Du Fay investigated the phenomenon of electricity. In the 18th century, Benjamin Franklin is supposed to have first proved conclusively that lightning was indeed electricity, through some kite experiments. In the year 1791, Luigi Galvani proved that nerves conduct signals to the muscles in the form of electric currents, thus giving rise to the science of bio-electricity. Later in 1800, one of the first electric batteries were created by Allesandro Volta. Later, Hans Christian Oersted and Ampere proved the unity between electricity and magnetism and Micheal Faraday invented the first electric motor. James Clark Maxwell, through his theory of electromagnetism, conclusively proved the unity between electricity and magnetism and proved that light was an electromagnetic wave. This was later proved by Hertz and an Indian scientist Jagadishchandra Bose, through first transmission of electromagnetic waves. Since then, electrical engineering developed as an applied science and eventually gave rise to telecommunication. What are your thoughts on the subject of discovery of electricity? Use the comment form below to have your say. Remember to like the page in social media so others can learn about this important issue as well. Ipeer – Part of Cygate – Sweden’s leading provider of cloud and hosting solutions, both traditional IT operations, Colocation, Hosted Hyper-V, customized solutions and dedicated servers as a leading cloud services such as Elastic Cloud Server, Hosted Azure Pack and Hosted VMware. Ipeer offers additional services such as web hosting, domain name, Hosted Exchange Email, Online Backup and databases. Ipeer has over ten thousand corporate customers and organizations including banks and government agencies. All operations take place on Ipeers own data center in Sweden. Check it out now, they provide the best services in hosted server and the best solutions. God- my error he created it. Who was the first person to be struck by lightning? Invented or discovered? God created it and man discovered it. According to American record, Ben Franklin discovered. Ancient greeks made batteries for electrolyser. Gold plating. We can reasonably think they took the know how from someone else. The willpower of humans can turn hypothesis into proof and proof into empirical observation fellow human! Well crap~ I was wrong about the first initial discovery. No… He was a thief who monetized AC current. Tesla wasn’t trying to make money off of us. The discovery of this force “electricity” led to a more innovated world. Mr Electric of course! Everybody knows that ! I read many, many years ago, that it was a French lady scientist, who discovered the electromagnetism, there was even a documentary on her findings , i’ll see if i can dig it out from this world of information…. love love love this site!!!!!!!!!!!!!!!!!!!!!! You are so sweet. Thank you and we love you too. unfortunately we do not have a facebook account for the site. Hope that you visit our site again. This is a link to our face book and twitter account. I am sorry I cannot answer your question, because no one knows who first discovered electricity. Thank you Rahul for the information. Thank you. Please visit other posts in our site, you can find posts in every field. Hope that it will help you in other researches. Luigi Galvani was the first to discover the bioelectricity, while we were trying to figure the discoverer of the electricity. Hope that you visit other posts in the site, and thank you. If you have read all articles about who invented electricity, you will find out that it was found gradually by many inventors and it developed by time. I need to know what is the name of first man that discovered electricity and how he did it? Electricity was not ‘invented’ : its characteristics and uses have been known about and developed over hundreds of years. Static electricity produced by rubbing objects against fur was known to the ancient Greeks, Phoenicians, Parthians and Mesopotamians. Greek philosophers discovered that when amber is rubbed against cloth, lightweight objects will stick to it. This is the basis of static electricity. When you touch something and get a shock, that is really static electricity moving through you. Despite what you may have learned, Benjamin Franklin did not “invent” electricity. In fact, electricity did not begin when Benjamin Franklin flew his kite during a thunderstorm or when light bulbs were installed in houses all around the world. The truth is that electricity has always been around because it naturally exists in the world. Lightning, for instance, is simply a flow of electrons between the ground and the clouds. Hence, electrical equipment like motors, light bulbs, and batteries aren’t needed for electricity to exist. They are just creative inventions designed to harness and use electricity. Over the centuries, there have been many discoveries made about electricity. We’ve all heard of famous people like Benjamin Franklin and Thomas Edison, but there have been many other inventors throughout history that were each a part in the development of electricity.